The first woman in 32 years has been named Sportsperson of Year. 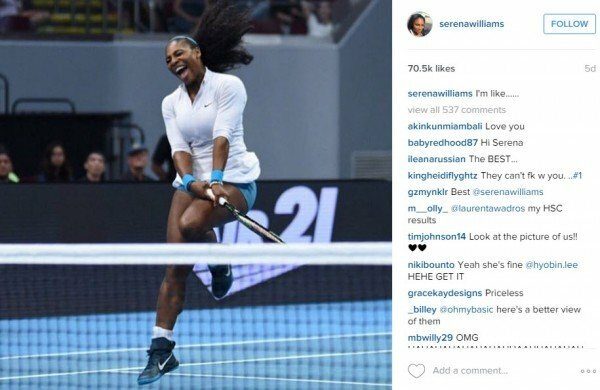 There is no doubt that Serena Williams is a deserving winner of Sports Illustrated’s Sportsperson of the Year award. At just 34, she holds the most major singles, doubles and mixed titles combined among active tennis players, male or female. She is also the first female to win the illustrious award in 32 years. The last woman to take the title was former track athlete Mary Decker. In 1983. If the online reader vote held any sway, a horse would have pipped the world-ranked number one to the post this year. Yes, racehorse American Pharaoh was the overwhelming winner in the reader’s poll. 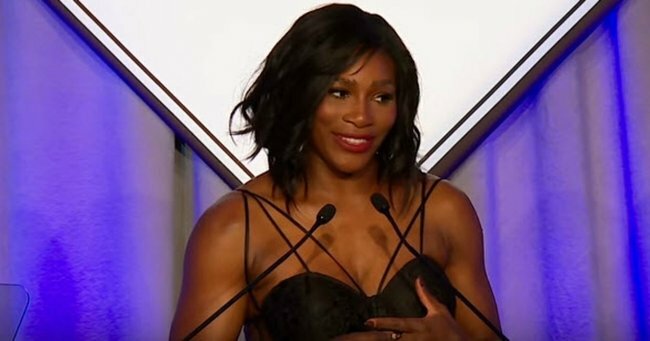 And in her acceptance speech, Serena pointed out both of those disturbing truths. “I’ve had people look down on me, put me down because I didn’t look like them — I look stronger,” Williams said. “I’ve had people look past me because [of] the colour of my skin. I’ve had people overlook me because I was a woman. I’ve had critics say I’d never win another Grand Slam when I was only at number seven — and here I stand today with 21 Grand Slam titles, and I’m still going. Williams said hard work, determination, discipline and a whole lot of self-belief were key to overcoming the obstacles she’d endured – from blood clots in both lungs, personal tragedies and horses (a hat-tip to the animal that almost stole the title). “So for all the ladies out there, yes, we can do it,” she said. “When I first started playing tennis, women weren’t really encouraged to play sports, let alone excel in sports. “So my hope by winning this award I can inspire many, many more women – in less than 30 years, of course – to stand right here on this podium and accept another SportsPERSON of the Year award.